It’s not unusual to have someone ask me for some easy ways to burn more fat. A consistent program of exercise and healthy eating is already in place and a good place to start, but they want to boost their success. There are some things you can do to help shed more weight, while maintaining muscle mass, but most of the success comes from lifestyle changes. Make sure your workout includes strength building exercises. If you want to lose fat faster, you need to make sure you’re building muscle tissue at the same time. You might see those runners who are lean or hear that cardio burns calories, so you focus your time on cardio workouts. That’s a big mistake. When you burn calories doing cardio, the body burns both lean muscle tissue and fat. That makes it harder to lose weight. The more muscle tissue you have, the more calories you burn 24/7 because muscle tissue requires more calories for maintenance than fat tissue does. 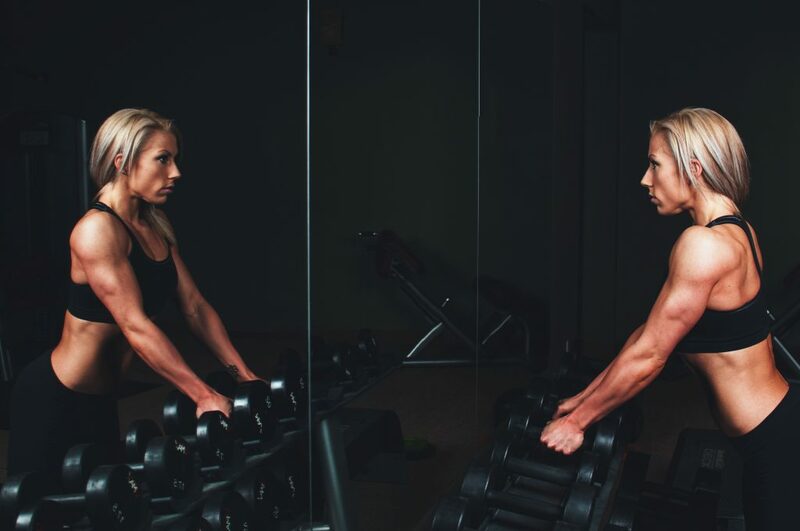 Strength building exercises, like weight lifting, not only burns a large amount of calories, it builds muscle tissue at the same time, helping you shed more pounds in the future. What could be easier than getting more sleep. In today’s society, it’s almost a badge of honor to skip sleep frequently. However, that’s not good for losing fat. When you don’t get adequate sleep, it changes the hormone balance. Several studies show that lack of sleep can increase ghrelin and reduce leptin. Why is that important? Ghrelin is the hunger hormone and leptin is the hormone that tells your body it’s full. One University of Colorado study showed that reducing sleep to five hours a night caused their subjects to gain two pounds in one week. You’ll also have more energy and be more active when you have adequate sleep and be less prone to sugary treats. Choose healthy protein and add spicy foods. Not only does a meal high in protein provide nutrients for building muscle tissue, it fills you up and burns more calories to digest. It’s called the thermic effect if food that simply means the calories necessary to digest the food to provide the body with nutrition. Eating hot peppers can also burn extra calories, just as drinking cold water can. Your body has to burn extra calories to warm the water to body temperature. The capsaicin in the peppers boost metabolism. You continue to burn calories after the workout ends when you do strength training or do a HIIT workout because of EPOC—excess post-exercise oxygen consumption—also called afterburn. Drink green tea to boost your metabolism. Tea contains substances that help increase fat burning and boost your metabolism. Eat adequate fiber. Foods high in fiber are fruits and vegetables, besides certain whole grain products. You’ll eliminate the bloat that comes with irregularity and feel fuller faster, while maintaining blood sugar levels. Besides drinking cold water, drinking more water, whether hot or cold, can fill you up between meals and lower the amount of food you eat when you drink it before a meal.